Roman Concrete – Stamped Concrete Specialists! Looking for the most talented concrete company in McKinney? You've found it! 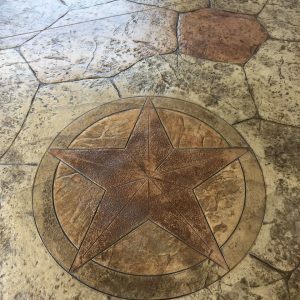 At Roman Concrete, we're passionate about using stamped concrete to transform your property into a work of art. With over 20 years of experience in the trade, our skilled concrete contractors deliver the highest quality results by combining time-tested practices with innovative techniques. 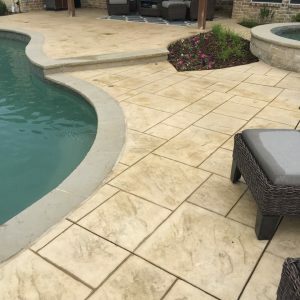 Why settle for a cookie-cutter patio, driveway, or pool deck when you can enjoy the one-of-a-kind appearance of decorative or stamped concrete? At Roman Concrete, our concrete contractors specialize in providing McKinney-area homes and commercial properties with exceptional skill and attention to detail. We treat every new project like a blank canvas, and when we're finished with our concrete services, you'll have a true work of art on your hands. 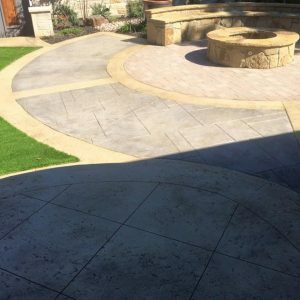 With more than 20 years of experience perfecting this craft, our concrete company is exactly what you need to transform the look and feel of your property and wow all of your guests. Whether it's a decorative concrete overlay, concrete driveway installation, or stamped concrete resurfacing, you'll be blown away by the results. Ready to learn more about our top-of-the-line materials and proven techniques? Give us a call today, and receive a free estimate while you're at it! At Roman Concrete, we thoroughly enjoy serving our local community. From concrete pool decks to stamped concrete driveways to gorgeous masonry and hardscaping, our concrete services are designed to take an average property and turn it into a palace. We make area residents and business owners genuinely happy by transforming their outdoor spaces. In turn, we believe these happy residents make happy neighborhoods and communities—and who doesn't want that? So if you're ready to make your environment an overall more pleasant place to live, we're the team to call! Our concrete contractors work with properties in McKinney, Frisco, Plano, Garland, Carrollton, Lewisville, and beyond. Roman Concrete is one of the most experienced and skilled concrete companies in McKinney and surrounding areas. 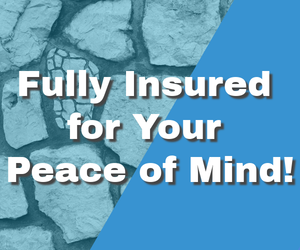 Whether you want to add a concrete deck around the pool in your backyard or you just require some routine concrete resurfacing for your driveway and walkway, you'll find what you need right here.